Download nice assets for your 3D printer, 3D designs and 3D tools. 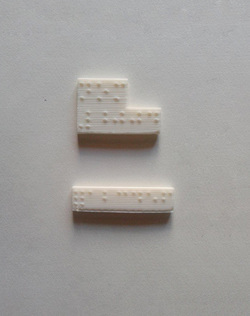 We give away braille.obj so you can edit objects in braille alphabet, it is no big deal, but you save time for measuring distances between dots, and distance between dot blocks. You would have no excuse to give something to the community, we can start by re-creating signs for people withouth sight senses or decreased sight. We published that on Thingiverse and was featured for a while. 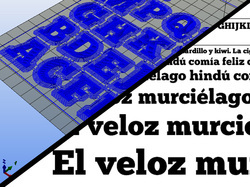 Now everything can be written in 3D, you have free font sites where to use, download and transform. Here it is the perfect sample, select on a 3D editor and print anything you want!